Are your fingernails feeling like something that could compete with Edward Scissorhands? Do you want a more fashionable look? Whatever the case may be, you’re either going to have to go to get a manicure or do it yourself. If you do it yourself, you’re going to have to get one of the best nail files. So, which ones are they? We got your back! Now that you’ve had the chance to take a look at each of the best nail files, scroll down a bit further so you can read more in-depth about each product. 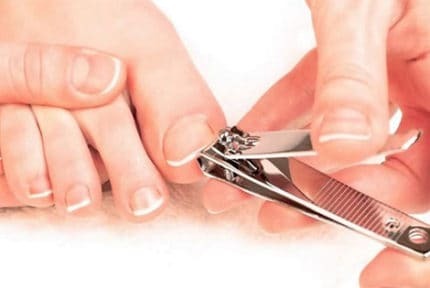 There are all kinds of fingernail shapes and types out there, and not everyone typically needs or likes the same nail files. However, we’re pretty confident you’re going to like our next product. The Bona Fide Beauty Glass Files are made of 100% genuine Czech glass of only the highest quality. The hand-made product works to help give you healthy, strong, gorgeous nails, and we think they do a pretty good job at it! What initially caught our eye was the gorgeous red/black/white glass design, but it’s so much more than that! When first learning how to file your nails, it can be difficult knowing which file to choose. The Bona Fide’s files are super easy to use and straightforward. Simply file back and forth, carefully shaping the edge of each nail. You may not know this, but you can’t actually file in just every direction with each file. However, with this one you can, and without damaging the nail in any way! This gentle file is also designed for long-term, regular usage so you don’t have to worry if you’ve used it “too much”. 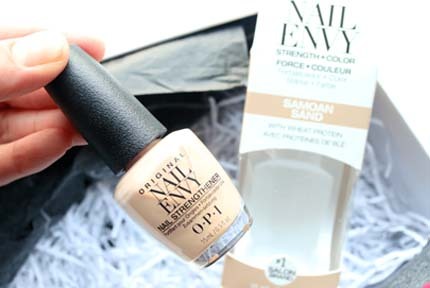 The fine-to-medium grit helps to seal in keratin layers, which help create smooth, healthy nails. They make sure to temper all of their glass to make sure it’s super durable and will remain in its intended state, even after many uses. It doesn’t rust, tear, or wear away like so many others do. However, keep in mind that they are still made of glass and should always be handled with caution. Who isn’t? The BFB Czech Glass File has a nonporous, abrasive surface that doesn’t absorb any kind of moisture, ensuring no bacteria or fungi will thrive. They’re also much easier to clean than your traditional nail file. Simply rinse the filing part under cool water and let it dry. Really the only part that could be construed as a “negative” would be the price. While it’s more costly than your average file, we guarantee it will last you years longer than any of the cheaper ones. No matter what fingernail shapes or styles you’re going for, you’ll love this one! Glass files are pretty amazing, but maybe you’re a little rough with your tools, or travel a lot and don’t like the thought of broken glass in your bags. A great alternative is the Diamancel Flexible. It has the durability of the legendary gemstone, while still remaining flexible enough without having to worry about it shattering. In fact, it’s so flexible, it just about bends completely in half! You can easily take it anywhere you go! If you’re looking for a great everyday file, this is a good selection. It has a slightly aggressive grit, which may be rough for some, but generally will just help you file and shape your nails even quicker. 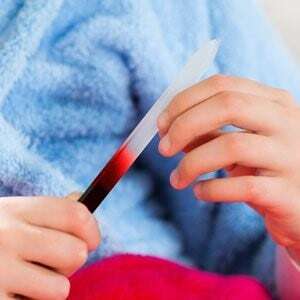 It also helps get rid of ragged edges quickly, which can take longer with other nail files. The thin profile easily navigates under and around nails, and also works in all directions like many glass files do. If you need to (and we recommend you do) wash your file, it’s easily-washable and will maintain a good level of durability even after washing and regular use. Now, let’s move onto the “cons”. The only thing we didn’t really like, was the fact that it was so flimsy and lightweight. This is a positive in many aspects, however, it does take a little more effort to put pressure against the nails with the file. Other than that, it’s an all-around excellent file. Maybe a regular nail file just isn’t enough for you. Maybe you need something that you see the professionals using in a beauty salon. If that’s the case, do yourself a favor and check out the Vogue Professional Electric Nail File Drill! 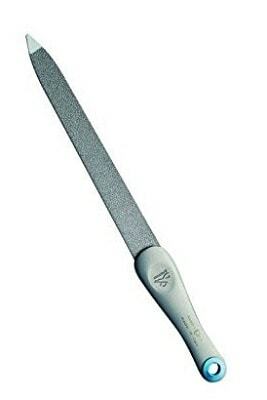 This professional-level electric nail file has been used by many for nearly three decades and we’re guessing will be used for many more. The chrome-plated attachments are all included and give you the option to shape, file, buff, remove calluses, and drill nail charms. Literally, anything you need, you can do it with this drill. The high-powered machine lets you buff either natural or artificial nails with ease, unlike many of your traditional nail files. The attachments change out easily, so even if you’re a beginner you’ll be able to use this drill. So, how strong is it? You have the option of choosing your speed, anywhere from 2000 to 35,000 rpm, which is a huge difference! Despite being so powerful, it doesn’t overheat, so that’s one less thing you’ll have to worry about. You can even use it to groom your pet’s nails! Each nail file drill comes with a solid three-year warranty, so if for whatever reason you’re unsatisfied, you’re not losing out on anything. Now, let’s get to the downsides. While the power cord is really generous at 10 feet, it is still plugged in, so you’re more limited to where you can use this file, as opposed to the traditional ones where you can use pretty much anywhere. Second, is the fact that the learning curve is a bit more difficult than your regular files would be. If you’re wondering how to shape nails perfectly, a lot has to do with the actual file you are using. 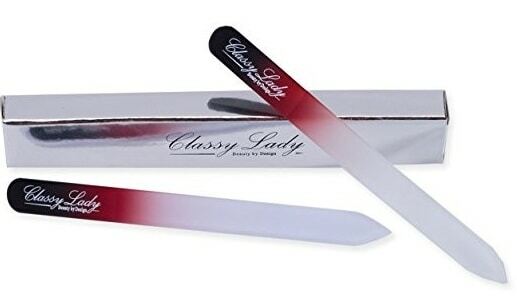 One of our favorites is the ClassyLady Crystal Glass Nail File with Handbag Case. 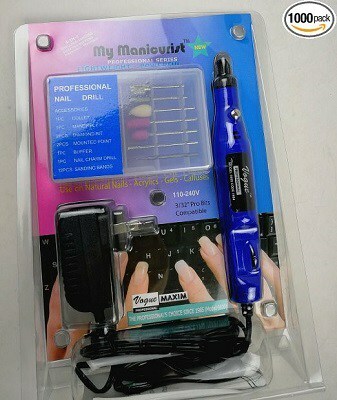 It is also a wonderful gift to any woman in your life who loves shaping and taking care of her nails! 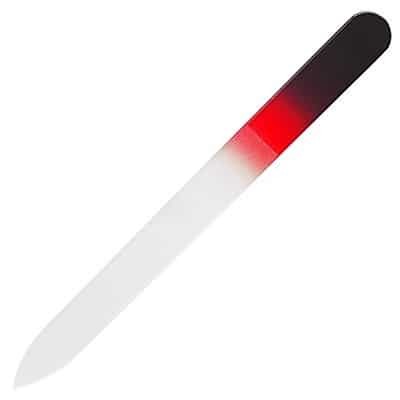 This nail file makes filing and buffing easy, and practically turns unwanted nail to dust! It’s super-efficient, as it can be moved in any direction, unlike so many competitor products. 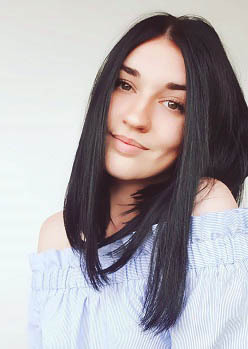 They use the highest-quality crystal glass, and for that reason, is used by many professional manicurists and is also one of the best-selling home beauty products. Create a perfect nail edge with ease, which will actually help prevent breakage and chipping in the future, promoting healthy, strong nails. We’d also like to note that with this file, there were no hang-ups while filing, and absolutely no tearing. It is an excellent pick if you have issues growing your nails out due to these issues. If you’re fed up with having to always purchase new nail files, definitely don’t pass this one up. It will last you for years before ever showing signs of wear and tear! The double-sided file is also very hygienic, as it doesn’t absorb any moisture and can easily be cleaned. Simply use a disinfectant or sterilizer, or run it under cool water and let it dry on a towel. Do you enjoy shaping and filing your nails on the go but are worried you may break the glass file? No worries! The company has thoughtfully included a silver carry case to protect the file in your handbag or even your luggage while you’re traveling! The case is a bit too bulky for many handbags, so keep that in mind. Do you want a nail file that you can use for its functionality, but will also look good while doing it? If so, check out the Premax Nail File with Ring Lock System. The Ring Lock System is essential a rivet which locks the metal handle onto the file blade. This makes it easy to travel with, but also really simple to use. It’s also extremely durable and well-crafted. The tool is handmade in Italy, crafted by adult artisans in the town of Premana. They’re each made of stainless steel, which means it will not only rust, but it will last you for years of regular use. Each item is made in a socially and environmentally-responsible facility which never contributes to the issues of child and slave labor. We were a bit confused with the title stating that it was “for men” and figured that maybe it would just be a bit heavier or something like that. The handle is metal, which definitely isn’t as comfortable as some other handles, but as for being heavier, it isn’t at all. 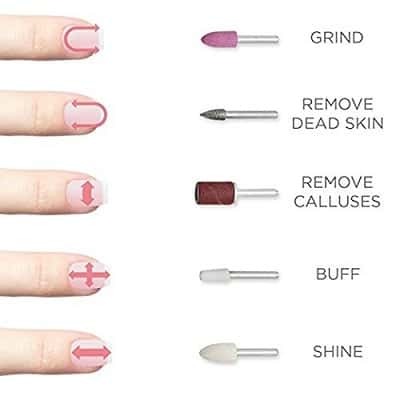 The file is double-sided, with one side being a heavier grit than the other, so you have some versatility when it comes to how you want your nails and what type you prefer. It is a bit more on the expensive side, but keep in mind that it will last you for years longer than your traditional nail file. In addition, each product comes with a 90-day guarantee, so if for whatever reason you aren’t satisfied, you’ll receive a full refund. Now that you’ve had the chance to take a good look at each product, you may have already found which one is the best for you and your needs. Perhaps you haven’t, and still, have some more questions about which one is right for you. If that’s so, go ahead and scroll down! We’ve created a buying guide for situations just like this, and will make sure you’re completely satisfied with whichever product you decide to go with! If you’ve been reading along or are already well-versed in the world of nail files, you’ve probably heard about the term “grit” before. Grit means the number of abrasive grains that fit into a square inch. The number lets you know whether the file surface is going to be fine or coarse, or rather, how soft or rough it will be on your nails. The higher the number, the more gentle it’s going to be, and the less damage it could cause your natural nails. If you have natural nails, never use an 80-grit or 100-grit file. 80 grit is extremely coarse and should never be used on natural nails! 100 is only recommended on artificial nails, and while it isn’t as extreme as the 80, it’s still very rough. So, what do you do if you have natural nails? Choose either a: 180-grit, 240, 500-grit, or a crystal/glass file. 180 is the lowest we recommend for natural nails. However, if they’re already damaged or particularly soft, it may be better to choose an even gentler file. 240 is great for buffing artificial nails, and 500 is very soft, and typically used for polishing the surface of gel or acrylics. Crystal or glass files are our personal favorite. They’re usually extra-fine and are permanently etched into the glass. Are you just looking for a file to use once or twice? Great! Then choose one of the cheaper options or the ones you typically find in drug stores. If not, then we highly recommend you go with either a glass/crystal file or one made of stainless steel. Again, our favorites are the glass and crystal files, so if that’s an option for you, we recommend that over anything else. Metal can be damaging if not used with a high amount of caution. Are you a beginner, a pro, or somewhere in the middle? If you’re a beginner, you’ll probably find luck with the glass files. Because they can be used in any direction, rather than one direction, which makes it harder and takes longer to file and shape your nails. Not only that, but there is less of a chance of damaging your nails, and they are great at preventing rips, chips, and overall encourage the growth of healthy, strong nails. Think about how much you want to spend on a nail file, or rather, put a limit on yourself before you go shopping. That way you’re not tempted to spend more than you should or want. There are some great nail files out there that are on the expensive side, and some that are still extremely affordable yet great products. Also, take into consideration how often you’re going to use your new file. Is it going to be a daily thing? Weekly? Hardly ever? If you’re going to be using it regularly (weekly or more frequent) then we highly recommend the glass files, again. They’re just very durable and will truly last you years before ever showing signs of wear. This is very hard to find in anything other than glass or metal, and as previously mentioned, metal can be damaging if used the wrong way. We mention this because while the upfront price may be lower, they’re often going to last you just a fraction of the time the more expensive files will. The glass/crystal files may be three times or so more expensive, but they’ll definitely last more than three times the length of time that the cheaper ones will. Now that you’ve read through all of that, you can consider yourself a nail file expert! However, maybe you’re still wishy-washy about which file to select. If that’s the case, we highly recommend our editor’s favorite: Bona Fide Czech Glass File. First of all, it’s made from the highest-quality, 100% genuine Czech glass that works to create healthy, strong nails and seal in keratin layers. It’s perfect for beginners, as it can be used in any direction, and also has a fine-to-medium texture which is gentle on nails. It’s extremely durable, very hygienic, and easy to clean, too, so you don’t have to worry about any bacteria or fungi. On top of it all, the black/red/white gradient design is absolutely gorgeous and will have everyone wondering where you got it! So, which of the best nail files will be making its way into your handbag?